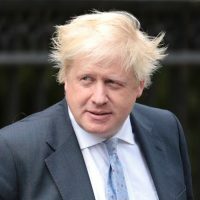 Boris Johnson has been dominating the UK political news this week after his comments in The Daily Telegraph. In his column he opposed a ban on the burqa – the body, head and face covering worn by some Muslim women, recently banned in some European countries. But he also went on to say that the niqab and burqa are oppressive garments. He said he dislikes the pressure some Muslim men put on Muslim women to wear these black ‘modesty’ garments. And he said individual institutions, universities for example, should have leeway to ask women to remove their face-obscuring veils in lectures, because sometimes you need to be able to see someone’s face in order to engage with them. He also questioned whether wearing such a covering is even required in Islam. It is his provocative, perhaps tongue-in-cheek, comments that people who wear the burqa look like ‘letter boxes’ and ‘bank robbers’ that have been attracting the most attention. Some are speaking up on behalf of Boris, either supporting his right to free speech, or agreeing with him, including some Muslims, that this garment is oppressive and unnecessary. Others have described the comments as offensive, racist or Islamophobic and call on him to apologise. Perhaps the story received more attention than it deserves because in the summer not much else is going on politically. The story has also been given a new lease of life each day as someone else in the Tory party uses it as an opportunity for virtue signalling. This is obviously a highly-sensitive and debated issue, even within Islam. Not all Muslims are in favour of the burqa, even though it has become something of a cultural statement in the last few decades in the west; those who wear it are considered to be devout and committed Muslims. I would suggest that referring to burqas as letter boxes or burglar outfits was unnecessarily offensive. As Christians we should use moderate, respectful language, even where we disagree. However, if you read the whole article Boris was raising some interesting questions about how far tolerance and freedom should go and how much the state should regulate personal choice. Whether he purposely or clumsily included the comments that got picked up in the media is not clear; I suspect some degree of intention. As a Christian I don’t think there is a great spiritual battle to be fought over whether we support a ban on the burqa. There may be a practical debate to be had but seeking to judge the motives of the wearers or to debate whether this is truly Islamic is hardly a good use of our time. We need to talk positively about how Jesus and the faith he founded breaks down cultural and gender barriers but still recognises male and female distinctions and calls on women to dress modestly. But this still leaves room for us to work out what that means within our Christian communities. Salvation comes by grace rather than by keeping rules as the way to please God. But there is something else going on here: a strange collision of liberalism, multi-culturalism and freedom of speech. The theoretical goal of a liberal, progressive society is one where all beliefs, cultures and religions are equally valid. But we instinctively know that this cannot be true. So, who decides what is good, what should be tolerated and what needs to be challenged? Liberalism values freedom of speech; but here is a politician who speaks freely on an issue of interest to many and he is close to being branded a criminal. Should he be allowed to express an opinion? We need to look to a higher authority. And that means we need God to be allowed to speak. Christians need to talk about the value of tolerance and respect for all people as they are made in the image of God; but we also need to show that because we love our neighbour we are concerned for truth and goodness. And we should be bold to call out things that are not good, whether in secular, hedonistic culture or in another religion. As we do this we must point people in the ultimate direction to which all cultures should point: away from worship of the individual, or the state – or even of religion, but towards Jesus Christ, who enables us all, male and female, to look into the face of God.